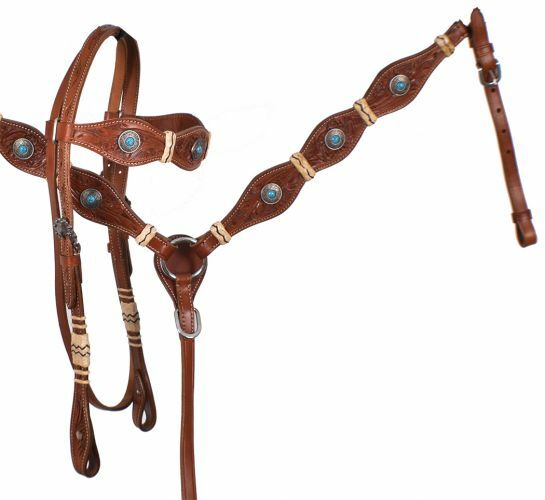 Showman ® Braided rawhide headstall and breast collar set. 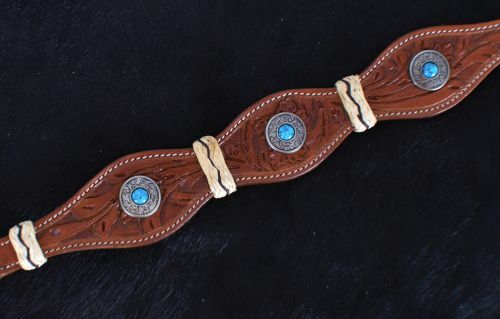 This set features medium oil double stitched tooled leather with natural rawhide braided accents and engraved brushed nickel conchos with teal stone. Set includes browband headstall and breastcollar. This is a special buy item. NO refunds or exchanges.